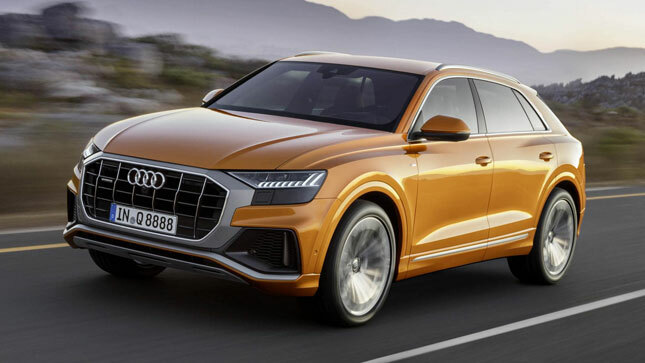 It was only a matter of time before Audi decided it wanted a piece of the fantastically pointless coupe-slash-SUV pie and, like BMW and Mercedes-Benz before it, resolved to give us a car that would combine the best (or worst) bits of coupe and SUV. Traditionally, these things aren’t, as their manufacturers would claim, the best of both worlds. Not in our experience, anyway. 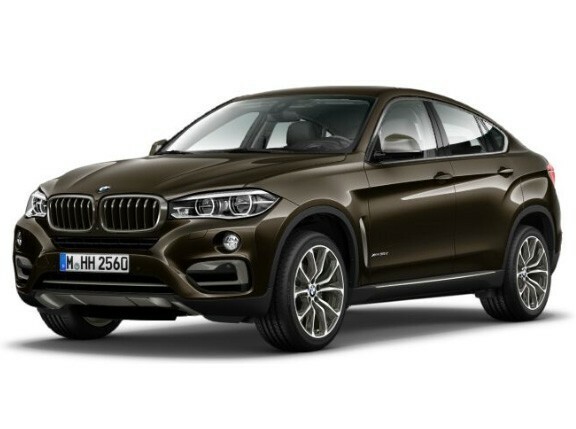 They’re not as elegant or good to drive as a conventional sedan or coupe, or as useful and good off-road as a proper SUV, yet somehow command higher SRPs than either of them. Because that is apparently what the people want. 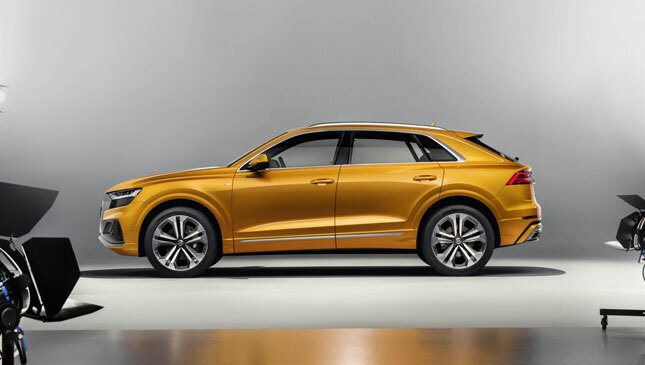 But, with any luck, the Q8—a car that, you guessed it, “combines the elegance of a four-door luxury coupe and the convenient versatility of an SUV”—might change things. 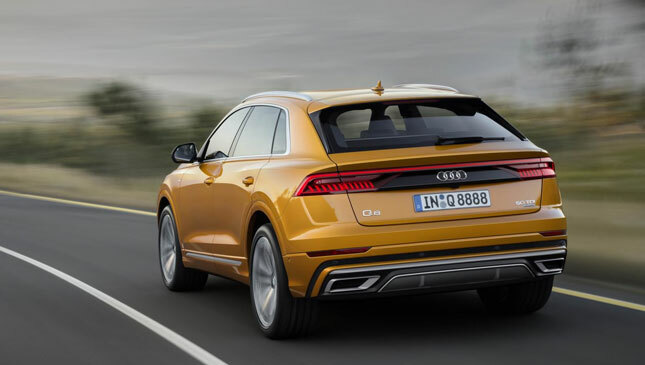 Like its competitors, the Q8 is based on the same platform as one of its maker’s conventional family SUVs. 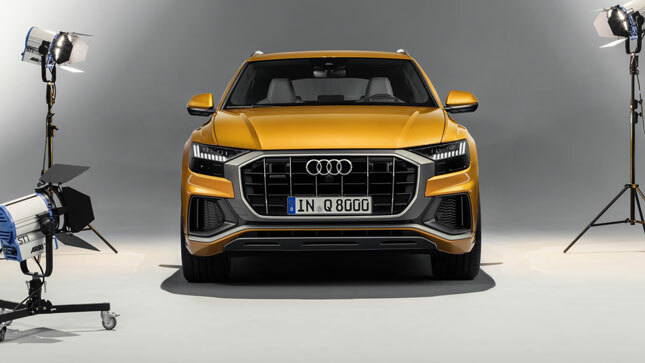 This time around, that’d be the Q7—only the Q8 is 66mm shorter (it only has five seats, to the Q7’s erm… seven) and 27mm wider, giving it an appropriately bullish stance that’s only amplified by the colossal “singleframe” grille that dominates its front end. 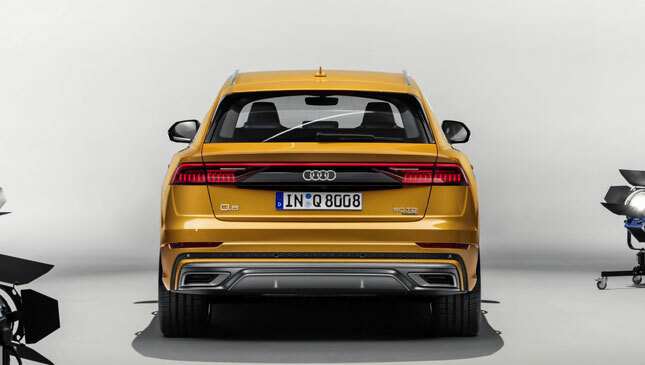 The Q8’s rear end doesn’t look as steeply raked as its competitors’, nor even that of the concept that previewed it, giving a more conventional (and less insulting) profile than we’re used to… or, indeed, were expecting. 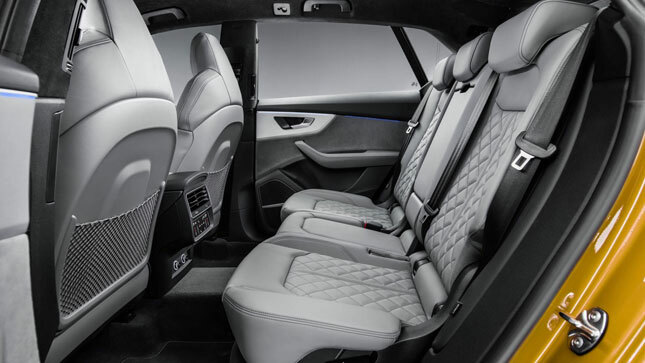 The consequence is 605L of cargo space with the rear seats erected, or 1,755 with them folded flat. That’s broadly on-par with the X6 and GLE but, predictably, quite a long way behind the cavernous Q7. But nobody who buys these things really gives a toss about practicality. Or they’d buy something, you know, genuinely practical. Engines are more important. 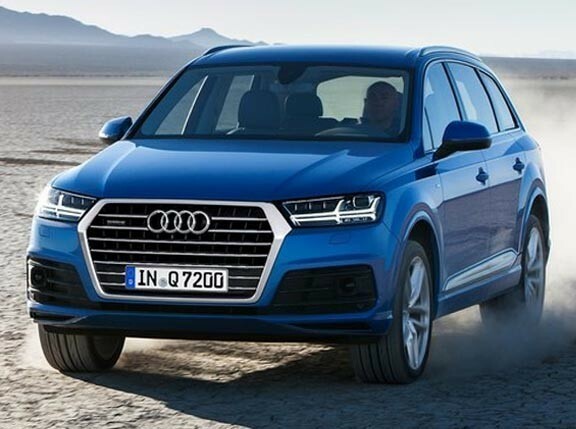 And from launch the only one you’ll be able to get in the Q8 is a 3.0-liter V6 diesel—badged 50 TDI—making 282hp and 600Nm. 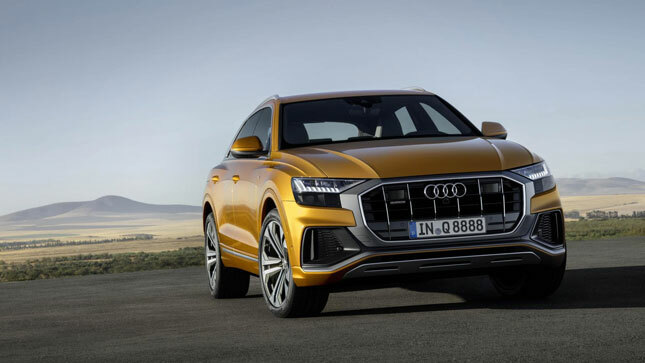 Rear-biased quattro all-wheel drive and an eight-speed automatic gearbox are both standard—equating to 0-100kph in 6.2 seconds and a top speed of 232kph—as is a mild-hybrid system that uses a lithium-ion battery and belt alternator starter to give engine-off coasting between 55 and 159kph and economy gains. 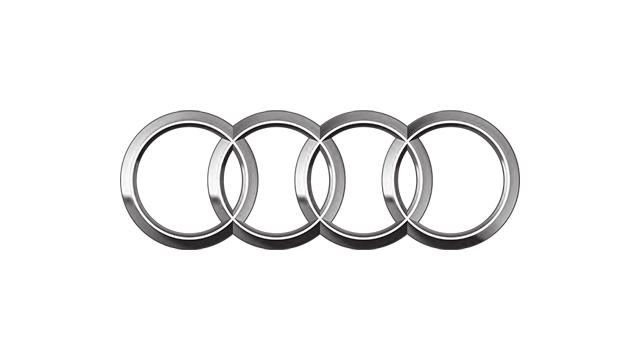 A less powerful 45 TDI and a 3.0-liter gasoline 55 TFSI will follow. 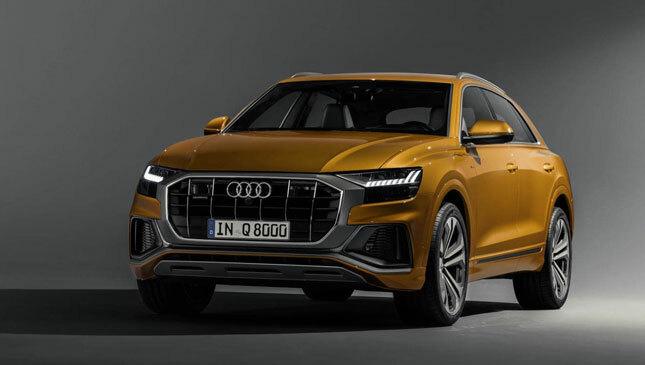 And as the Q8 is the “top SUV of the brand”, we’d expect some S- and possibly RS-badged stuff in the not-too-distant future. Adaptively damped steel springs are standard-fit, but you can upgrade to air suspension and, ultimately, four-wheel steering for a comically tight turning circle. A gamut of active safety tech is available too. 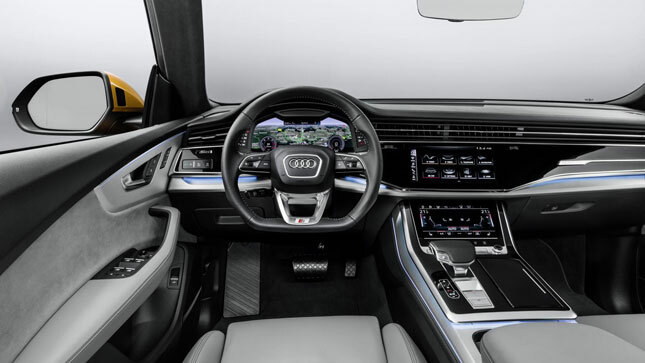 As for tech you can see and play with—the Q8 shares an interior with all the big, new Audis. So you get two touchscreens—one of 10.1 and the other of 8.6 inches—and the tried-and-tested 12.3-inch Virtual Cockpit instrument cluster. 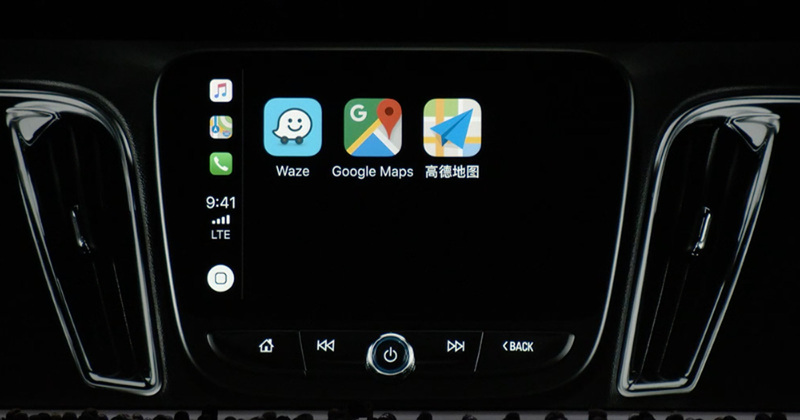 The top touchscreen does infotainment and navigation, while the bottom one takes care of the air-conditioning and, when you’re entering a destination into the nav, turns into a big keyboard/trackpad.